In today’s episode I get to speak with the executive chairman of Valkee, Timo Ahopelto, about transcranial bright light therapy, how does the Human Charger device works and best way to use it for helping to improve your mood and circadian rhythm. Valkee are the Finnish company that make the novel bright light therapy device called the Human Charger. This is a special biohacking gadget that shines a specific type of blue light directly into your brain cells! The way the light gets inside your head is via LED bulbs that are built into earbud headphones that you put into your ear canals. If you follow any famous biohackers then you’ll know that using light to hack better brain function is a definite must do. Valkee have made a bright light therapy product designed to help improve your mood. In this episode we go into the how the Human Charger works, the history behind the invention, when to use it to help beat the Winter Blues and loads more self-improvement tips using the power of light. Special 20% off discount code offer on a new HumanCharger. Go to humancharger.com and enter the coupon code “BIOHACK”, without the quotation marks, and you will get 20% off the price at checkout. Special thanks to Timo for joining me on the show. Enjoy the episode! Go to Human Charger official website here, or follow the Human Charger Brand on Twitter or Timo on Twitter. 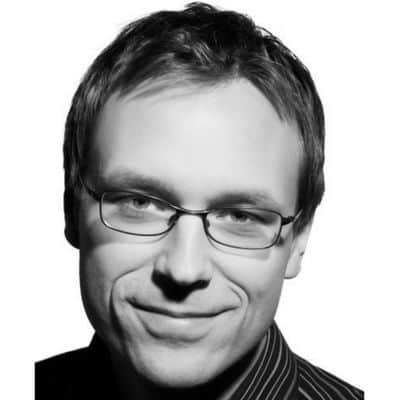 [00:20] – Introducing our guest, the executive chairman of Valkee, investor at Lifeline Ventures, book author and biohacker, Timo Ahopelto. [01:24] – Timo explains how the Human Charger from Valkee came to be. It began with two guys from northern Finland who started experimenting with projecting light straight to the brain’s photosensitive receptors through the ear canals to help improve mood and the meaning of the word Valkee. [09:25] – Research suggests different type of wavelengths of light are effective for different types of problems. A different type of light is effective for anxiety than the one that’s effective for winter blues and jet-lag for example. [17:25] – The primary goal for developing this device was to beat the winter blues, but people have reported the device has mood elevating effects in general. We know human beings have intrinsic daily rhythmicity which is largely dependent on exposure to light. Timo shares the types of symptoms people experience in areas where there is limited sunlight available, especially during winter. [24:12] – Timo believes in the next 10-20 years there will be an increased number of light related inventions that offer various health benefits. Using light as therapy first started in the 1980’s, but was treated with great scepticism. We are now beginning to have a greater understanding of the health benefits of light therapy, in part thanks to the improved research techniques which allow us to measure the effects on the brain. [31:22] – How does the Human Charger affect the sleep hormone cycles? Timo explains that the device does not affect melatonin cycles (the night hormone), but rather works on the day hormones (serotonin, dopamine, noradrenaline) which have a mood elevating effects. We also discuss how the device affects different people differently, i.e. some people are more sensitive than others and some have a better result using it in the morning and others in the evening. Biohacking is all about n=1, we are all different and should test to see how we respond to things individually. [36:51] – The recommended dosage time is 12 minutes once a day for general energy elevation. Research has shown that this is the threshold dose that works for most people. For jet-lag the dose is 12 minutes four times a day, timed according to the individuals travel time and the specific time zones. There is an app in the iTunes store that calculates the optimal timing of these doses. [40:17] – Gary experienced immediate mood-change benefits from using the device. He shares his backstory and experience using the Human Charger device. [42:24] – Using the Human Charger is incredibly time-efficient which is one of the great benefits of the device. For traditional light therapy using lamps, the compliancy is quite low and one reason could be the time required to sit by the lamp can often be inconvenient for already busy individuals. [45:06] – Talking about side-effects. Initially, some people might experience headaches which veer of after a day or two. The device is easy to use and comes with the instructions manual which includes this type of information. [48:03] – One of the settings that can be adjusted on the device is the lux/intensity, but Timo explains that for 99% users it is not necessary to adjust this. The device has been created with simplicity in mind and it comes ready to use straight out of the box. [50:16] – The Human Charger is a great option for anyone who lives in darker environments where your body is not exposed to enough sunlight. It is also great for anyone looking for better performance and to improve their mood, cognition and brain function. To get a 20% off your purchase visit humancharger.com and enter the coupon code: “BIOHACK”. 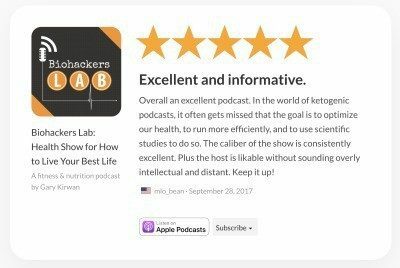 If you haven’t already please Subscribe to Biohackers Lab on iTunes or Biohackers Lab on Stitcher for Android or Biohackers Lab on YouTube for all the latest episodes.